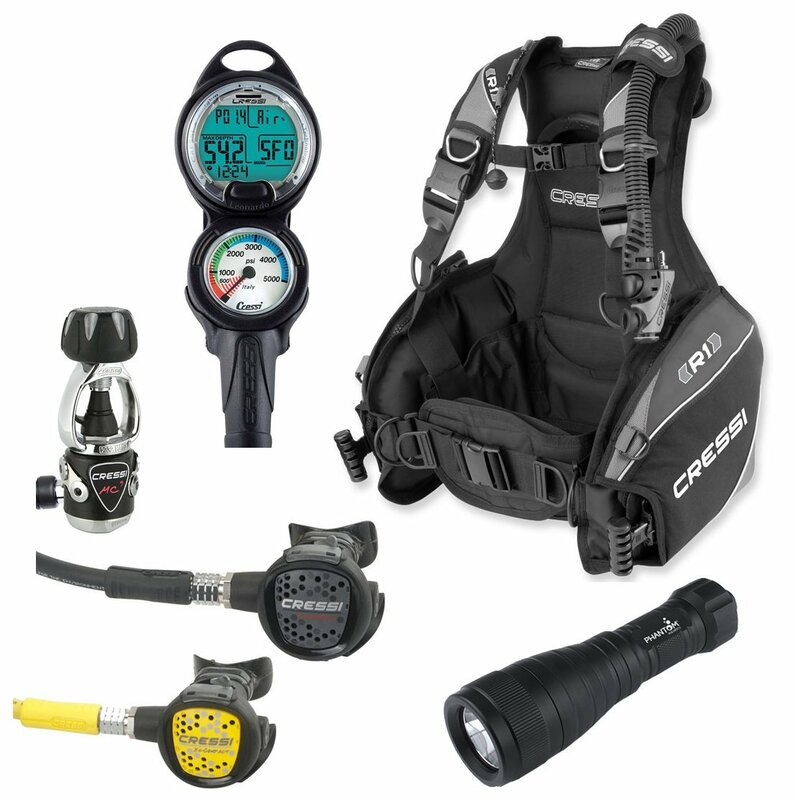 This package includes the Cressi R1 Weight Integrated BCD, Cressi Compact AC2 Regulator, Cressi Compact Octopus and the Cressi Leonardo Air/Nitrox Dive Computer. Ready to dive. The Cressi R1 BC is known for its comfort and ease of use. The R1 is easy to pack and therefore great for traveling. 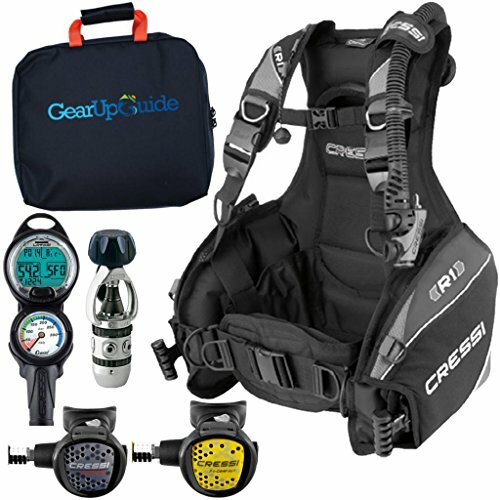 Watch Scubalab’s video review of teh Cressi R1 BCD in teh video below.